OUR Peace Officers have sworn an oath to Serve and Protect not Selfserve and Collect. Time to demand this and stand up for your and the public’s rights! Here is some examples of unethical and unlawful behavior from some of OUR Peace Officers and what you can do if you experience this or want to help prevent it. Some of this previous news but some is new and together it paints a pretty clear message that something needs to be done. There is a lot of officers that act ethically and lawfully and it is the direction they all currently given regarding traffic enforcement and quotas that leads some in the wrong direction. The fact many regularly see the worst in society sometimes takes a toll on them and may contribute to poor decisions on and off the job. This is no excuse but it does mean we should try and put ourselves in their shoes and see what can be done to help them. We are more likely to get help from within to bring positive reforms if we do this. We must stand up for our rights but must also call for better use of our officers and better protections for them to prevent the ill effects of often facing the worst in society. Some officers have admitted they wait till the end of their shift to arrest alledged criminals at known locations so they get several hours of OT for processing. Many officers are targeting known deficient engineering and the transition zones which RCMP and other Police do not do. Many are telling drivers if you don’t like the ticket to contest it in court. Some have said they issue what they feel are bad or unfair tickets but are following direction and that it is the courts job to sort out. Then they get more OT if off duty when going to court. OT currently pensionable. Some senior officers allowed to transfer into traffic unit, work loads of OT which is currently pensionable and then retire early with $100k a year for life and then working as consultants or in private sector. Officers being Investigated for fraud involving over $100k of improper OT over 4 years and more. WPS above the law again – double standard on the roads and for disciplining, investigating or prosecuting officers. There has been complaints made to WPS about parking unlawfully during enforcement like illustrated below and others issues like setup near intersections and elsewhere at night without any head lights or tail lights. Or driving without tail lights. More about these and others here. WPS has clearly responded to complaints about above and others like this that they can breach any parking law/bylaw. Officer repeatedly caught doing unlawful u-turns on one way street after issuing tickets to save time getting back to setup again. This recorded as well as the complaint discussion. They were going to accept formal complaint until they heard it was an officer. Then just said he is allowed to do that because he is setting up for enforcement. Then said he will be told to put his lights on next time. When told they can’t use their lights unless they are actively attending an emergency they had nothing further to say. There is several examples of officers not being disciplined, investigated or prosecuted fully. WPS officer in Canine unit investigated for fraud with 100k worth of overtime in 4 years for private security work with no canine which was a condition of the OT approval. Worse yet OT is currently pensionable. 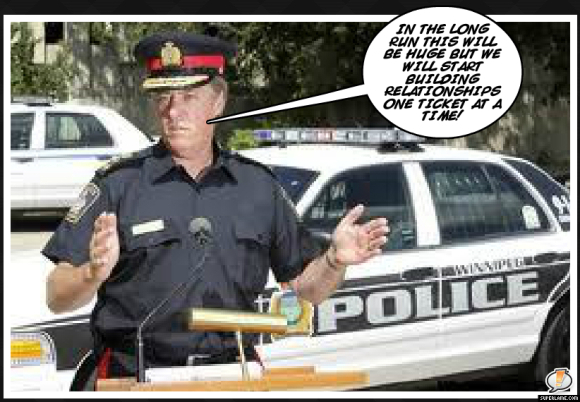 WPS not commenting and stalling on this and other investigations.. There is other incidents of WPS officers being investigated internally for other criminal behavior but there is also some incidents where the RCMP asked to investigate WPS. Based on above and others it looks like this needs to happen more often. There is also the Independent Investigation Unit (IIU) which is supposed to investigate all serious incidents involving police officers in Manitoba, whether occurring on or off duty. We have jurisdiction over all police services in Manitoba, including the RCMP. Serious incidents need to be reported to them by Police. Citizen complaints must go to LERA. The IIU officially became operational June 18, 2015. This is not that long ago so hopefully this is a good sign, that it will get used effectively and not just another money pit. The public have concers over the effectiveness of the MB IIU and there is several recent cases of officers being investigated but it appears they are stalling or not getting the cooperation they are legally entitled to. There is concers after an active WPS officer joined IIU. Robert Taman resigned from the MB Police Commission because of this which will weaken it depending on who they replace him with. How effective are both these “independent” public bodies as well as the Winnipeg Police Board when you consider the dismal state of the WPS in terms of persistently high serious crime rate, out of control spending & OT for years, concers over direction officers given and their ethics; officers not being investigated or prosecuted properly, and trust & respect from the public being at an all time low. Also Officers regularly setup for enforcement that has known traffic engineering deficiencies as they know these will let them issues many more tickets and in a short period of time. Here is just some examples but there is many more. City Council and Minister of MIT ignored these and other known deficiencies in safe and proper speed limits, amber times, signage and more and they are continuing to ignoring them. There is ACS $afety camera on Kenaston at Corydon and it issuing more tickets than it would if the speed limit was not artificially reduced or if short amber time increased. This would also reduce rear end collisions. This worse at higher speed intersections on Bishop, Lag and elsewhere especially without Advanced Warning Flashers. WPS officers in marked or unmarked cars frequently target Kenaston southbound north of Grant and other deficient locations. They often seen setup in back lane or parking lot as drivers approach the open area before Grant. Officers usually not using tripod as required in operators manual. Sweeping motion registers higher speed and other known accuracy issues. When WPS plans to be in the news they always use Tripod. RCMP seen using them more often but not always. Contest all unfair or unlawful tickets here and other known deficient locations and ask the Criwn for the officer notes and diagram with signs. They have not been disclosing these until court or not at all. 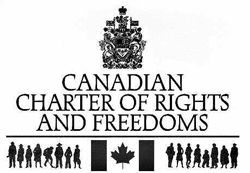 That is a breach of charter rights. Make sure they checked signs and not using canned notes or diagram (i.e. template). Make sure they certified, calibrated and tested as per manufacturers requirements. Many officers have told drivers if you don’t like the ticket you can fight it or contest it in court. I was in court the other day observing while waiting for an important trial and heard from three WPS officers who where testifying regarding simple traffic matters. They had all been with WPS for 8 years or more. None were in uniform so I assume they off duty and collecting sever hundred dollars in pensionable OT. They repeated many of the same things exactly as if they were reading from a teleprompter. This obviously comes from practice. Why are so many people contesting that they get this much practice? The answer is from so many unfair and unlawful tickets for the reasons mentioned above and more. You also have a right to a trial in a reasonable time. For simple traffic matters that is 4 – 6 months as per two recent MBPC decisions and reinforced in recent SCC decision. Similar and other issues for AC$ stationary or “designated” peace officer issued Photo Enforcement tickets. Many also proven in court to be unlawful. Remember it is the Crowns responsibility to prove beyond a reasonable doubt that the accused is guilty but when you prepare for trial in advance with the facts you can make it harder for them to do this. Make time to go observe in traffic court. You will be surprised what you learn. E.g. 373 Broadway 3B or 4B. 9am or 2pm. Usually Tue and Thu put you can call to check times. Listen to what the Crown and accused say before and during trials and what witnesses and the JJP say during trials. Caselaw available for free online to refer to in court for all this and more. Stand up for your rights and for fair and lawful traffic enforcement but as supplement to driver education and training and not at the expense of serious crime (violent and property). When you stand up you are standing up for others in the public not informed or confident enough. Be a leader and others will follow. It is over due for more of the public to stand up and demand more from their leaders and police that they are paying to serve and protect not selfserve and collect. Contact the Minister of MIT, your MLA and Councillor and request better protection for officers and the public as mentioned above and for Engineering Standards MUTCD to be required in the HTA rather than optional and followed which will make our roads safer and prevent these deficiencies from being used by some officers and by the City and Province as revenue (unlawful taxation as fines). If you experience abuse of authority by a peace officer you can report this to WPS or LERA or if outside Winnipeg to the RCMP. More info in the http://www.WiseUpWinnipeg.com pinned post. To Serve and Protect not Selfserve and Collect.